I was casually watching a cooking show by Nigel Slater from the UK when this segment for porridge appeared. With all the health benefits proven with oats - lowering bad cholesterol, low GI, improving the good bacteria in the tummy to fight the bad bacteria etc. 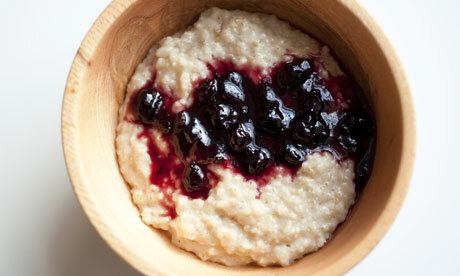 plus my kids adore porridge, I was intrigued that there could be such a thing as a champion at making porridge. It was a revelation to me in fact and I have made it this way ever since. I love it with jam, my kids love it with maple syrup. Perfect breakfast in the world!